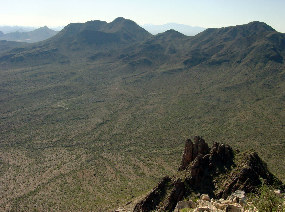 View south to the Silver Bell Mountains from the summit of Ragged Top. View of Silverbell Peak from an arroyo on the eastern bajada. 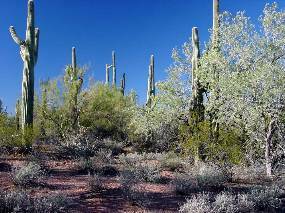 This area has many ironwood trees (the brighter greens in this backlit image). Above two images: The eastern bajada of the Silver Bell Mountains supports well-developed Arizona Upland with ironwood trees (the dense ones) being codominant with foothill palo verdes. 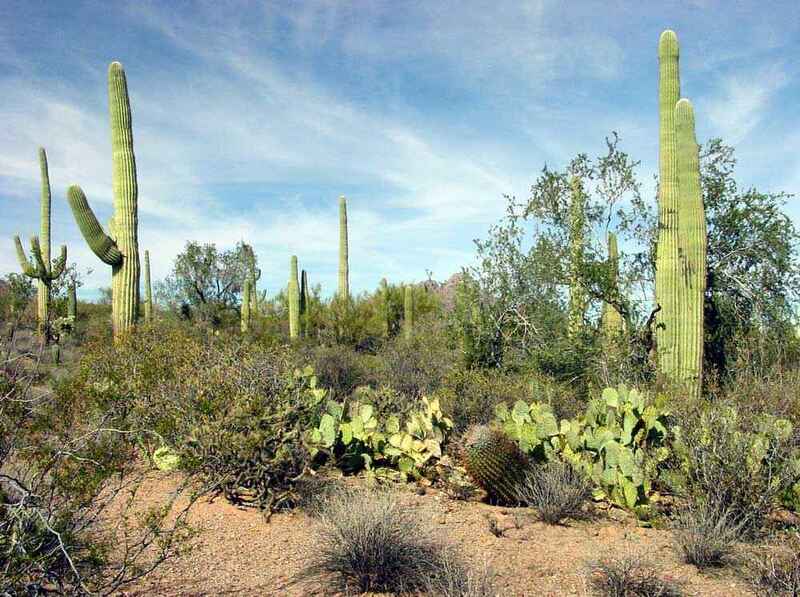 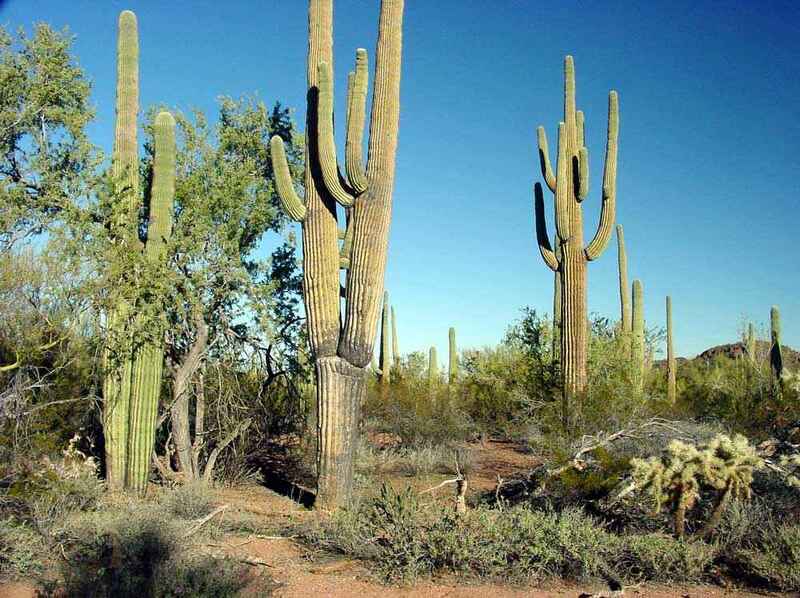 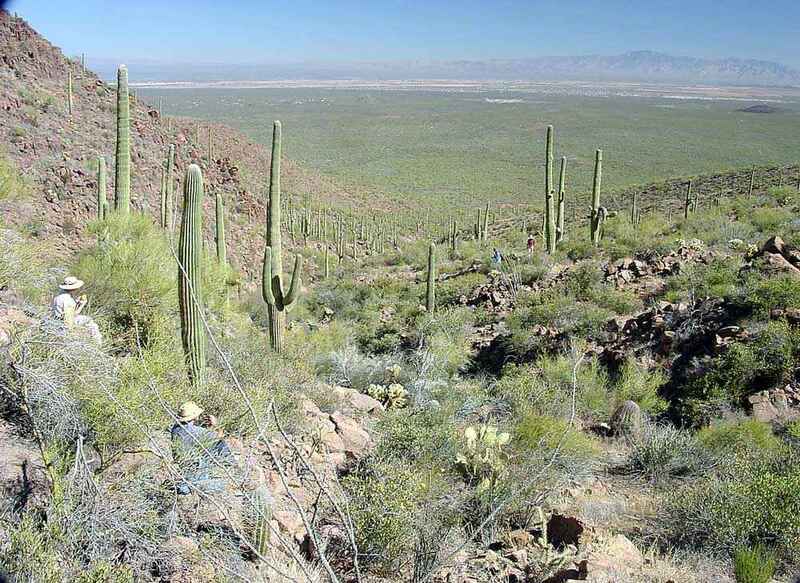 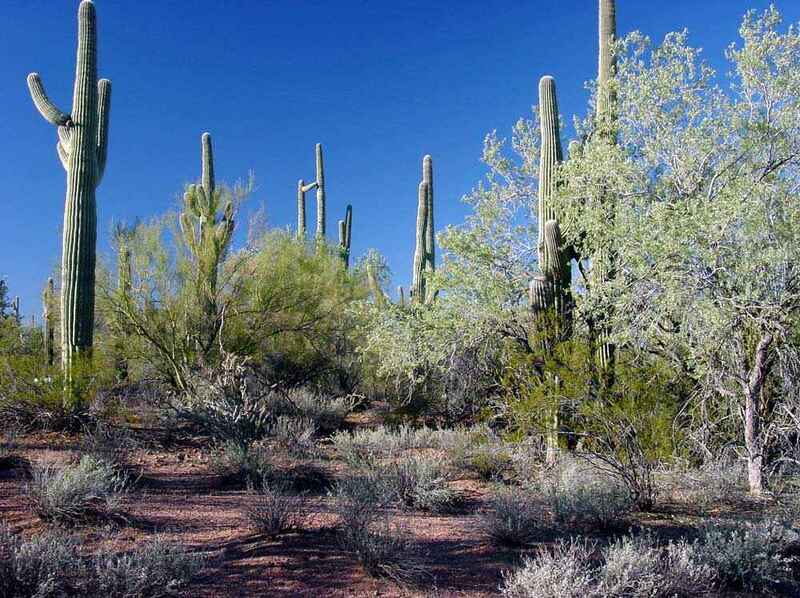 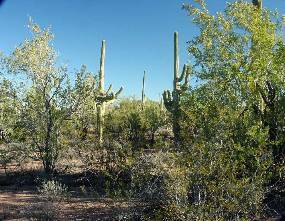 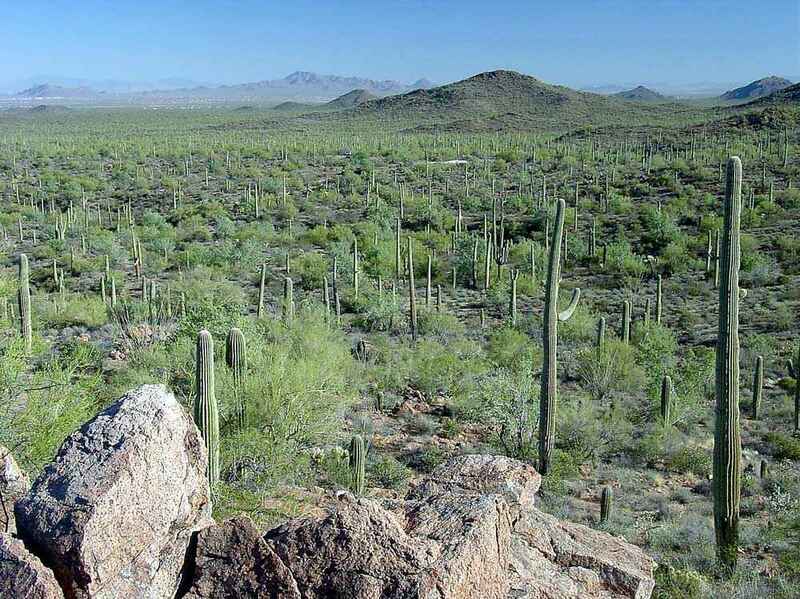 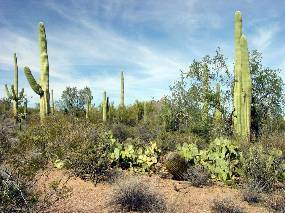 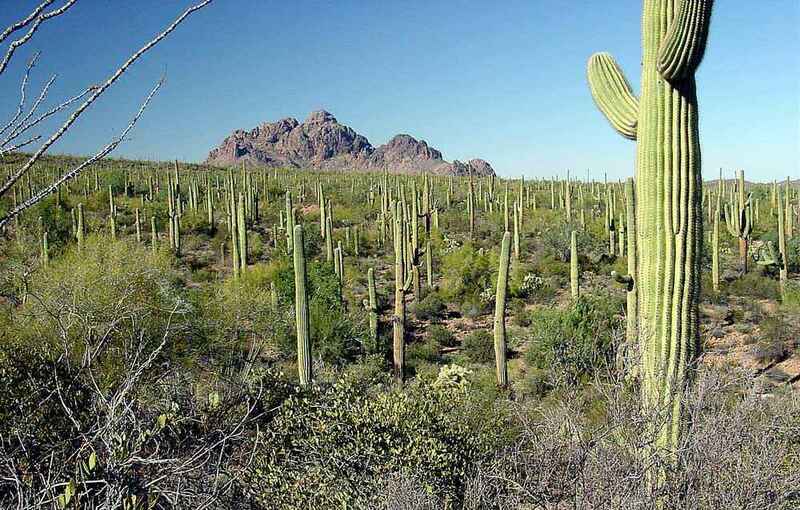 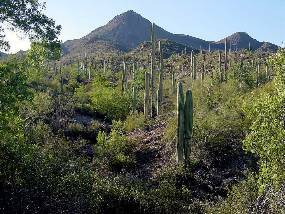 Surrounding four images: Gentle terrain with ample open areas within the dense Arizona Upland vegetation invites leisurely hikes. 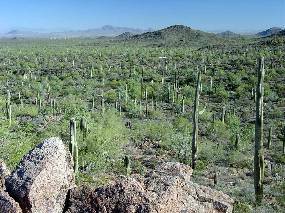 View ENE from high on the slope of Silver Bell Peak across the town of Marana in the Avra Valley to the Tortolita Mountains. 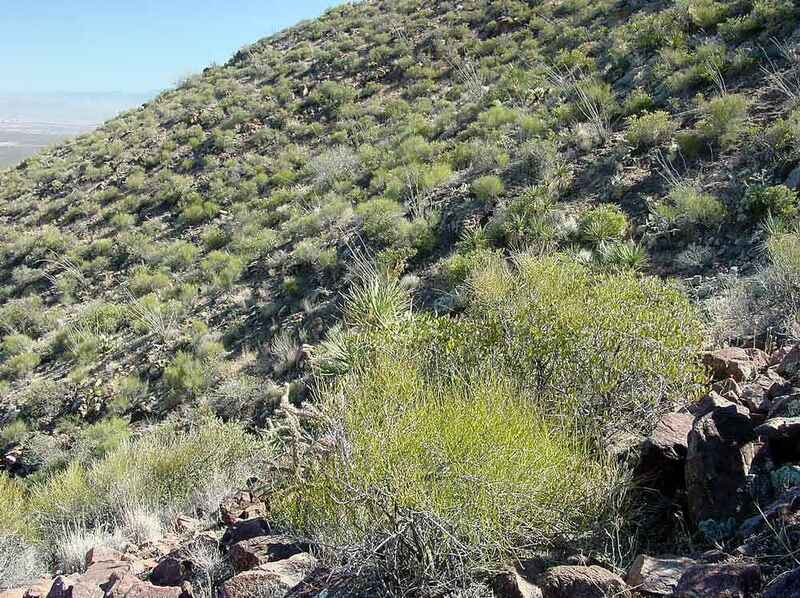 High on the slopes of Silver Bell Peak is an unusual shrubland dominated by jojoba. 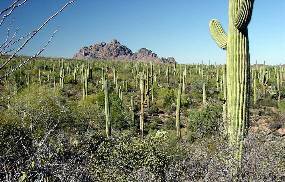 We tentatively classify it as an anomalous chaparral. 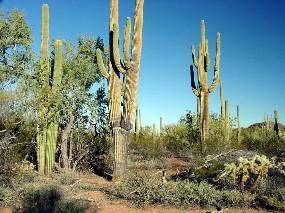 It isn't know whether it can burn like typical chaparral.